Farm tractors and skid steers are popular, readily available and relatively inexpensive machines. However, these reasons alone may not make them the most effective or profitable machine for every job on the farm. Compact Articulated Wheel Loaders (CAWL) are proving more efficient than tractors and skid steers especially for feeding/cleaning inside barns, loading conveyors/hoppers/mixers and loading/unloading transport vehicles. CAWLs can totally replace a tractor or skid steer but have also found a niche working alongside more traditional farm machinery. Despite being a mainstay on farms in Europe for many years, CAWLs have been underrated and little noticed by Canadian farmers. CAWL manufacturers recently have invested in the Canadian farm market making their products, parts, and services available locally. Now, Canadian farmers can finally reap the benefits of CAWLs. • Mixed Use CAWL, bucket size ¼ yard to ½ yard, weight 1500-5500 lbs, with a hydr. flow of 8 to 19 gal., HP 20 to 50. • Industrial Size CAWL, bucket size ¾ yard to 1 ¼ yard, weight of 7000-10000 lbs, with a hydr. flow of 30 to 40 gal., HP 60 to 80. Modern farms strive for efficiency and profit. 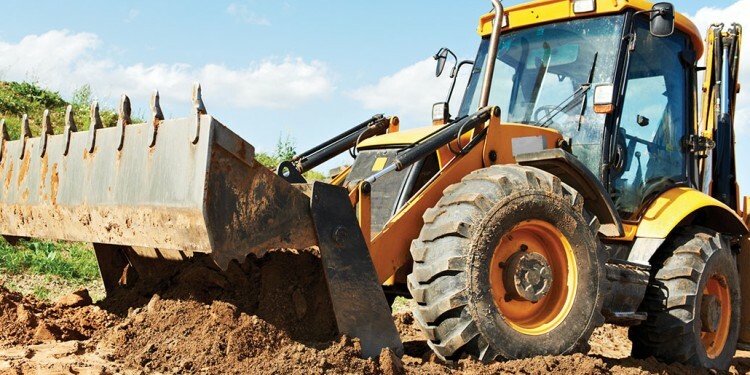 Careful evaluation of modern hydraulic equipment design and performance can show that the tractor PTO or the skid steer push and spin machine may no longer be the best choice. When analyzing machine types and brands, especially machines new to the farm, the process should involve extensive research, and on-site demos and tests arranged with the local CAWL dealer. Canadian farmers are especially attracted to the speed, visibility, lift capacities (ratio to machine weight) and low ground compression of CAWLs. CAWLs are proving themselves and local farmers are realizing why these machines are hugely popular in Europe. Contact the manufacturers and/or dealers listed if you’re interested in seeing how these exciting, versatile CAWLs can help your farm to grow its bottom line.